OK, it’s pretty blatant, isn’t it? I give you the first two chapters of Threshold of the Mind. You read it, get hooked, then pull your hair until you get the rest of the book. But don’t panic, it’s available in many versions, print, Kindle, and ebook. So read the first two chapters at your own risk without cost or obligation, knowing you will be driven to buy the book later. You’ve been warned. In the Image of God is now available on Kindle from Amazon and ePub from Smashwords, iTunes (coming soon) and other digital book sellers. It’s a great read and now it’s available the way you want to read it. Only $5.99! My New Book – In the Image of God – is now Available! 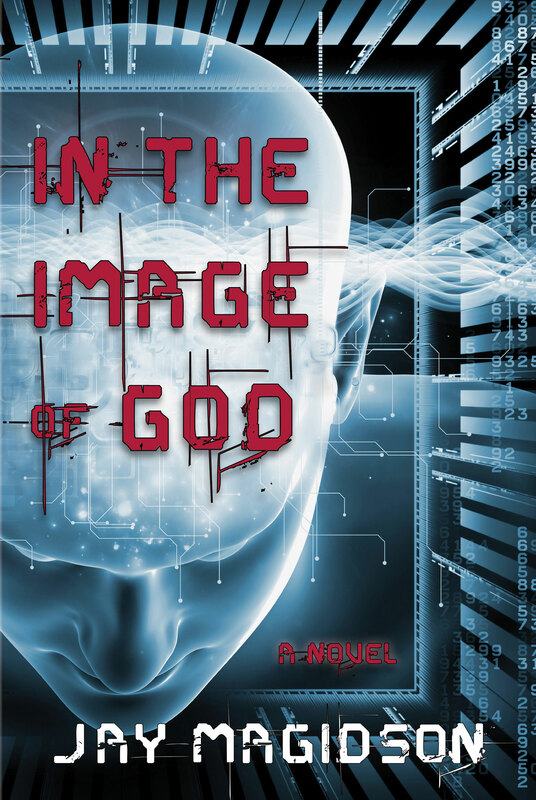 In the Image of God is now available on Amazon in print and kindle versions. This was a long ride. I began writing the book about 14 years ago. It has gone through many edits and changes. Here it is, released to the world. Fly little birdie, fly. I want to give a special thank you to my family for their support through the process – I love you. The year is 2080 and the world is crowded. To feed the nearly 17 billion, the earth has been divided into agriculture or city. There is no in between, no margin for error in this high-tech world. Farms are ultra-efficient enterprises using the latest engineered crops, enormous plants manipulated to grow in any season and produce fantastic yields. Cities are dense and overcrowded, stuffed with men and women working endless hours to pay for their needs. Their only relief is Virtual Reality – a synthetic world where any fantasy is possible – where a person can look like anyone, be anywhere. It is no wonder people spend every waking hour “jacked in” to this imaginary world. Access to Virtual Reality is controlled by one company, owned by one man. Tatsuo Hamachi has accumulated vast wealth, but his desire for power is greater. Now, he has discovered a way to connect human minds directly, without the need of Virtual Reality headsets, where thoughts can flow as easily as electricity through a wire. When every human mind is connected – he stands to be leader of them all. There are a few who have rejected technology for a simpler life. Their only desire is to be left in peace. When Alvar, their leader, becomes an unwilling guinea pig for Hamachi’s experiments, he must fight not only for his own mind, but those of the entire world. Now go get one and read it!